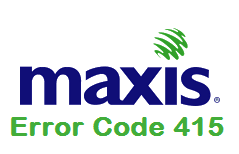 Recently, we got an email from Maxis about the introduction of Error Code 415. Maxis is upgrading their API documentation about this new feature, so that we can reconfigure our Premium SMS Gateway accordingly while detected this error code. Basically, this error code is to inform EVERWORKS SMS Gateway to take the necessary action when receiving this error message while pushing the MT to Maxis SMS Gateway. 415 The subscriber subscription service has been temporarily blocked due to renewal reminder not receive by subscriber (e.g. may due to the subscriber being out of network coverage area, subscriber.s mobile device being switched-off, etc.). As our platform will trigger periodical renewal reminders to the subscribers, there will be scenario where some subscribers do not receive the renewal reminders at their mobile devices (e.g. may due to the subscriber being out of network coverage area, subscriber.s mobile device being switched-off, etc.). In this scenario, Content Provider will receive Error Code 415 when attempt to trigger renewal/ content charge to this subscriber. In this situation, all Content Provider of EVERWORKS should not do multiple retries of charging MTs to the subscribers, once receiving Error Code 415 from the SMS gateway. In the following renewal cycle, the renewal reminder will trigger accordingly by Maxis and your subscribers will receive the chargeable content upon successful renewal reminder delivery to the subscriber's device.